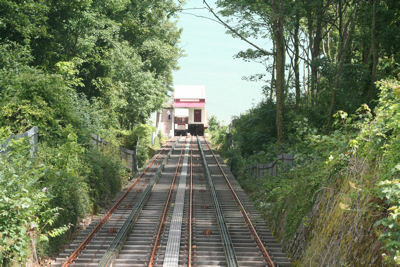 Babbacombe Cliff Railway was built in 1926 to ferry tourists to and from Oddicombe Beach. It was closed during the war years for safety reasons and was re-opened again after extensive renovation in the 1950s. Today it carries up to 250,000 passengers each season. It has also been registered for use as a wedding venue. The prices are £1.80 return per adult and £1.20 return for children aged 2-16 years. Under 2s and the disabled can go free. Also dogs can be carried free, at the discretion of the operator. A family ticket for up to 2 adults and 3 children costs £5. The railway is open from mid February through to December each year. The Cliff Railway Cafe at the top serves breakfast, coffee and snacks. If you are looking for accommodation, we recommend our cottage St Anns which is just 5 minutes walk away. Tourist Agency Puntarka - Tourist Agency PUNTARKA NOVA offers accomodation in private apartments and rooms, holiday houses as well as hotel accommodation. best price for room at Mexico City airport - Your accommodation options are already taken care of, so we are proud to have you as our guests. good price for hotels in Milan - book online here a room - Go to Cheap Hotels in Milan and find outmore about Milan!